Erected in 1826 as the church of the United Session Synod. Next it bacame a public hall with such people like Mrs Pankhurst the Suffragette leader using it as a speaking platform. Next it bacame a cinema, c.1913, known as "The Picture House" and later "The George"
Now it is a warehouse for antiques. Info courtesy of Eddie Dowds. Opened in 1939 by the Bridgend Picture House Co., by the architect James Houston (a director). Sold to George Palmer in 1946. Closed in August 1973. Converted into a bottling warehouse. Copies of the original plans by Houston can be found on the RCAHMS website here. 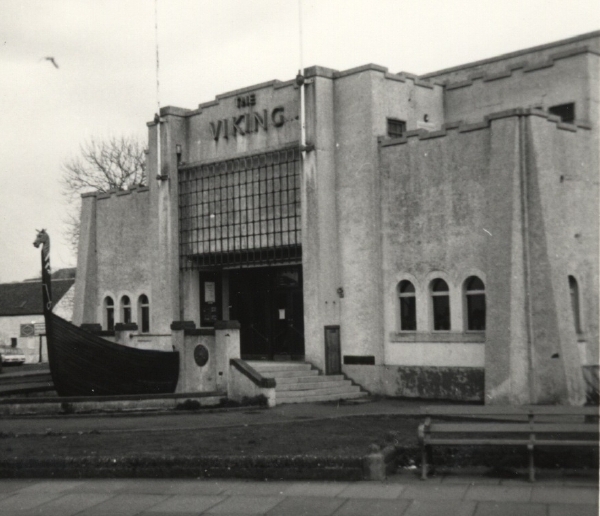 The 1000-seater Barrfields Pavilion (the white art-deco part of Vikingar to the left of the Vikingar sign in the photograph) was built as a theatre in 1930. In the 70's, a projection room was built in place of the gallery seating level reducing numbers to 500, allowing cinema shows to take place in the theatre. 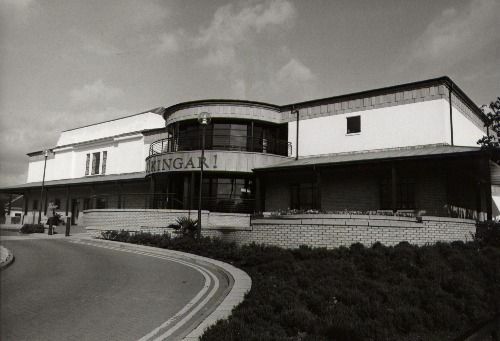 In the 1990's a leisure centre and visitor attraction was added onto the Pavilion and named the new attractions the Vikingar. Then in 2002, the cinema finally closed inside the Pavilion leaving the theatre. However in the new Vikingar building there is a small 80-seater video theatre called the Valhalladrome, used as part of the Vikingar exhibition to show the history of the Vikings. A small while ago they used to show Video Saturdays for children and people use it to show films, so now we just know it as the Vikingar Cinema (even though there is no film projection avaliable just video and DVD). Photo above courtesy Norrie Mcnamee. Information courtesy Ryan Moir. Photo below c1993, courtesy Chris Doak. o. by Bridgend Picture House Co. in side street. Sold to George Palmer, 1946. 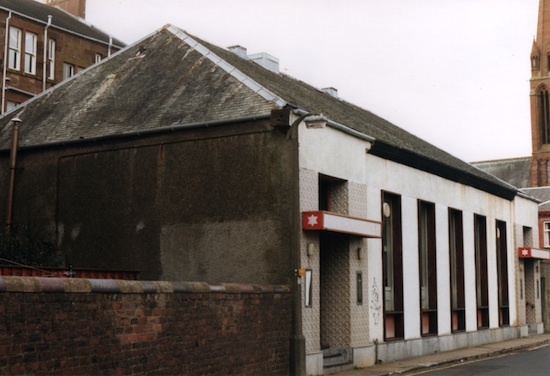 Later Star Ballroom, now Business Premises.